Ractovit eye drops (Adenosine, Cytochrome C, Sodium Succinate and Nicotinamide) is an an anticataract preparation. 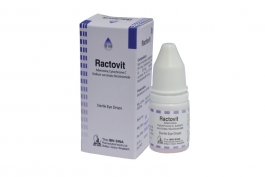 Ractovit eye drops is used for the treatment of lens opacification. Ractovit is available as 5 ml sterile eye drops. Romycin eye drops (Azithromycin) is a macrolide antibiotic. Indicated for the treatment of bacterial conjunctivitis caused by CDC coryneform group G, Haemophilus influenzae, Staphylococcus aureus, Streptococcus mitis group, and Streptococcus pneumoniae. 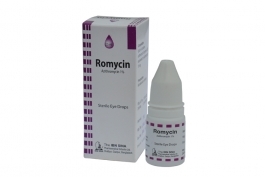 Romycin is available as 2.5 ml sterile eye drops.